McFarlane The Walking Dead Woodbury Assault Vehicle set review! Now for another little diversion from the norm. I believe this truck is a M35A3, one of two similar vehicles commandeered & used by The Governor in the AMC hit series. 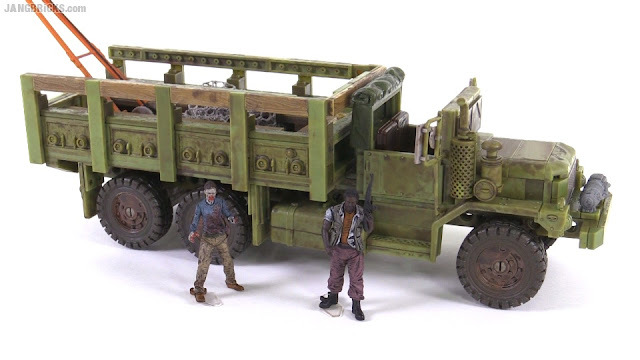 Video: McFarlane The Walking Dead Woodbury Assault Vehicle set review! My son Carter (11) and daughter Addison (9) love watching your videos! keep up the good work! I myself have been with Lego since my first set back in the 80's since then my kids have received my hand me downs (thanks Mom for keeping those through the years!) and now pretty much every present and extra gift is a lego set. Now thanks to you, you have inspired us to start a City Layout! We would love to visit your parts room :) We do have one question for you regarding base plates and road plates, Where do you get yours from? they can be rather pricey, do you use the off brand ones? I am a bit particular, if it doesn't say Lego it's not a Lego, ya know? Bricklink is a bit intimidating, do you use the same seller on there? All or any guidance would be very helpful. Hi and thanks for your support! Great to hear of yet another generation-to-generation LEGO connection :) Baseplates are pricey indeed, and I've bought all of the roads in my layout new directly from shop.LEGO.com. When packaged products are currently in production, it's almost always cheapest to get them directly from the source. Occasionally you'll find some on Bricklink, but quite commonly they're used or from different ages, with slightly different coloring. I've bought from over 130 different sellers on Bricklink. Because my parts needs are so varied, I can't restrict myself to one or two sellers' inventories like a lot of folks seem to do these days. I always just build up a wanted list of everything I'm looking for, then go to Wanted > By Shop & sort by unique lots to find what stores have the most things I want. After that it's a lot of manual comparisons to get the best prices from the fewest number of stores possible. Bricklink is definitely daunting at first, but eventually you get used to it. Thanks for the response! sorry about the late response on our part we have been caught up playing Lego Dimensions :) and watching your game play, which has been rather entertaining (PURPLE!) you even have us shouting that! Yes, I think we will look at Lego.com for the base plates, Thanks for the advise! Don't stop the Videos, it's not easy finding kid approved vids on TV anymore. I want to thank you for keeping it clean and fun! Your videos have become my go to source when trying to figure out if my son will enjoy a brick set. 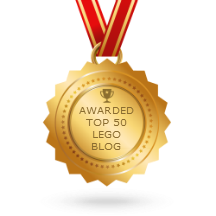 I have recommended your reviews several times on my deal site, both looking at playability and especially when you have some Lego fans bashing Megablocks. I have a question if it is not too much trouble. My son and I enjoy building the Megablocks and Cobi military sets. How well will this truck scale with some of the call of duty sets. It looks like it will be a little big, but I'm just double checking because Toys "R" Us has a really good deal on the set through Sunday. By the way just for your information, the slightly tighter fit of the megablocks has often meant they have held together a little bit better than equivalent build Legos, even though his hands can get tired from the bricks easier. However, he has dad helping him put it together and he helps dad read the instructions as I have some mild color differentiation/shading issues. He wants to get into his sister's Lego robotics. Thanks for all the great reviews.